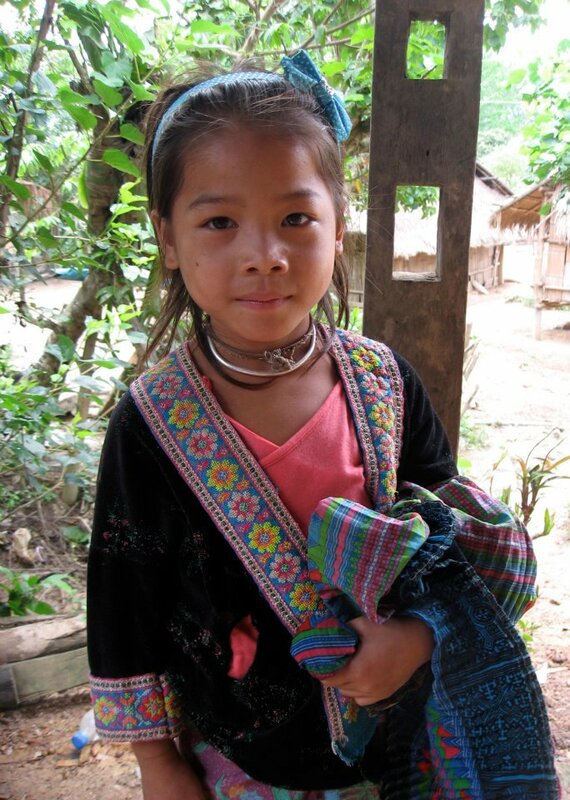 During a past visit to Laos, in 2009, Windhorse volunteers stopped to visit a Hmong village. From the conversation with village leaders, we learned that the village moved from the mountains down to the Mekong river banks. There are no roads to the village nor do they have a boat for transportation. They are isolated and their children cannot attend school, which is located across the river. Recently, Laura Nelson and Ben LaBelle, two Windhorse volunteers, went to the village and provided them a boat from Windhorse donations. The people were thrilled and told Laura and Ben that the boat will be used primarily for transporting children to school, getting needed supplies, and to take the sick to the hospital. More visits and assistance to help the Hmong people at this village are planned to help them build a sustainable future. If you are interested in donating to this project, please visit us: http://wdpf.org/?page_id=26.